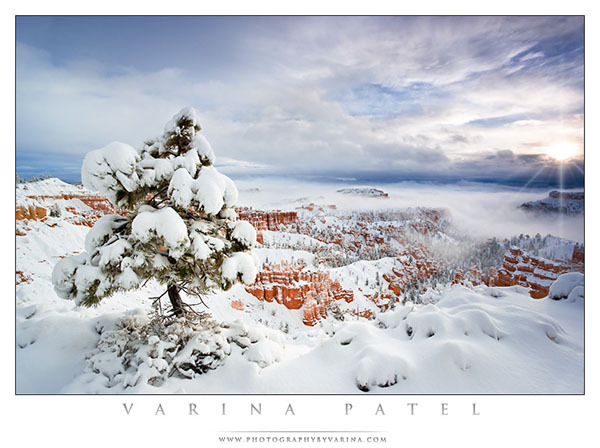 This month, our featured guest is actually a photography couple, Jay and Varina Patel. We want to thank Varina and Jay for taking the time to answer our questions, and share some of their experiences, thoughts and insights with us! Please visit their links to see more of their beautiful work, and to let them know you enjoyed this interview. :: A little background on how each of you got into photography. Who has the most experience? Did you meet through photography? 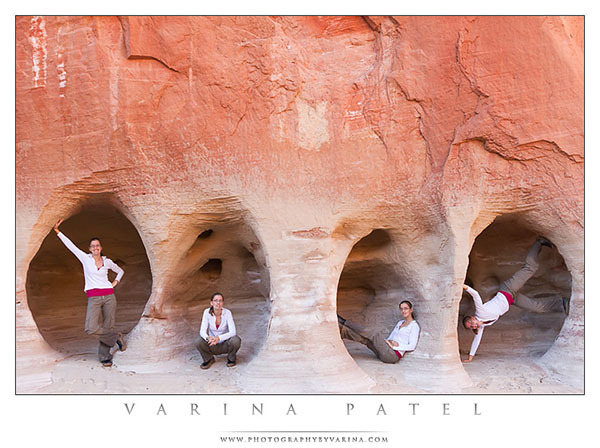 Varina: I've been shooting since I was a kid. My dad was generous with his sturdy little Pentax K1000, and I took my first photography class when I was 14. In college, I spent long hours working in the dark room — and I spent all my extra money buying film and photo paper. I purchased my own SLR when I was 18... and by then, I knew I wanted to be a professional photographer. I finally went pro in 2005 — and I'm pretty sure I have the best job in the world! Jay: I never really took photography seriously until late 1999 when the digital cameras were just coming onto the scene. I purchased my first Nikon 990 in late 1990, and fell in love with photography (something I always wanted to learn). I purchased my first DSLR in 2002 and started seriously pursuing landscape photography. We met at a Cleveland Photographic Society meeting in 2005. We were featured in the same newsletter in their member showcase section. :: You're both great photographers. Is there any competitiveness between you? When you head out to a shoot, do each of you secretly try to outperform the other one? If one of you sees a GREAT foreground for composition, do you tell the other one, or just wait until you get home and process the images and then show them what you found? Varina: We're definitely competitive, but in a good-natured way. We joke around about it, but I'm generally more interested in outperforming myself rather than anyone else. I'm my own worst critic. Jay and I often point out beautiful subjects to one another — but we rarely come away with the same composition, even when we place our cameras side by side. When we start processing our images, we're very open with our opinions of each other's work. If I'm not sure about an image, I ask for Jay's opinion — and I know that he'll always give me an honest critique. Jay: I agree with what Varina said. We will often share the foreground object with one another, but we tend to like different composition, so oftentimes we will come away with something that is quite different from the same location. Varina: I don't even know where to begin to answer a question like this. Each location offers different challenges — and it's the challenge that draws me. 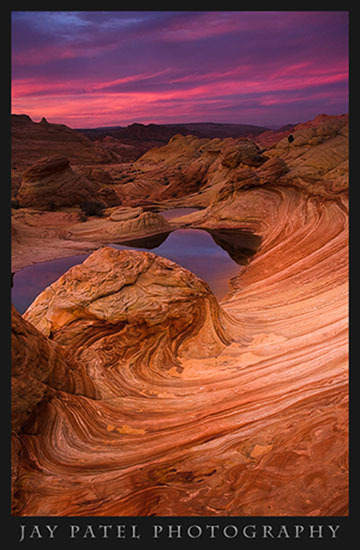 I love the American Southwest for its bizarre colors and sandstone formation... I love the Rocky Mountains for their sweeping vistas and fabulous storms... every location offers something unique and beautiful. If I can capture that, I'm doing what I love to do. And in the end, it's not about the location — it's about the light. Jay: We view light as our primary photographic subject. So, we both prefer the right light over the right location. We frequently stop to shoot on the side of the road, or on the trail to a fabulous location, because the light was right in that spot. We encourage our students to follow the light rather than be fixated on a location. :: How do you juggle parenting and photography? What are the biggest challenges of being outdoor photographers and parents as well? Varina: I think one of the biggest benefits of doing this together is that we understand each other. It would be hard to focus on getting a great shot if we felt we were keeping someone waiting. It might not seem like a big thing, but sometimes we are in the field for hours, working to wring a photo out of a tough landscape. That's tough on a non-photographer, who wants to enjoy the scenery and then move on. It's also great to be able to share our strengths when it comes to the business side of things. Our skills complement each other, so our business is stronger than it would be if either of us did it alone. Jay: There are many advantages to having your spouse as a photographer: We keep each other company on those long drives, we don't have to worry about visiting a remote location alone, we never feel guilty about keeping a spouse in remote locations for hours, sometimes after dark. For us, going shooting is like being on a date....without the kids! :: Would each of you please share with us a tale of your worst day as a photographer? Jay: When I shoot I forget about the world. My email at work reads: "I am in remote wilderness and cannot be reached by snail mail, email, cell phones, pagers, UPS, Fedex, Pony Express, Federal Marshals, highly trained rescue teams or US Marines." What can go wrong when the world does not exist? There was that time when I dropped Varina's camera with her macro lens still attached...but I am trying to give myself selective amnesia so I can't say much about it. Varina: I'm trying to forget that, too. Ack! :: Each of you pick a favorite image and discuss a bit why the image is your personal favorite. Varina: The Dreaming. Hands down. For me, it's as much about the effort it took to get the shot as it is about the beauty of the scene. 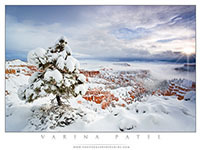 Bryce Canyon is gorgeous all the time, but cover it with snow, and it looks like something out of a dream (hence my title.) On the other hand, the roads were like something out of a nightmare! Plows weren't coming through regularly, and the road from Kanab was horrible. The drive took much longer than usual, and we were wondering if we'd end up buried in a snow-drift somewhere... but we arrived in time to shoot the sunrise. It was freezing cold up there at 8500 feet — my fingers and toes were frozen despite all our cold-weather gear — but standing in the middle of something so spectacular makes it all worthwhile. And coming home with a photo that makes you smile is even better. Jay: This is a tough one...I don't have a favorite image. Every image is unique and poses its own challenge. I enjoy the experience of taking the photograph just as much as the final result. If I had to pick one it would be "The Swirls." [Editor's note: The Swirls is posted to the right on this page.] It was Varina's first trip to the Southwest, and we had been lucky enough to get a lottery ticket to "The Wave." We decided to stay there to shoot the sunset, and we walked back in the dark under a full moon. The sky put on a stunning light show for us — and the company was perfect! 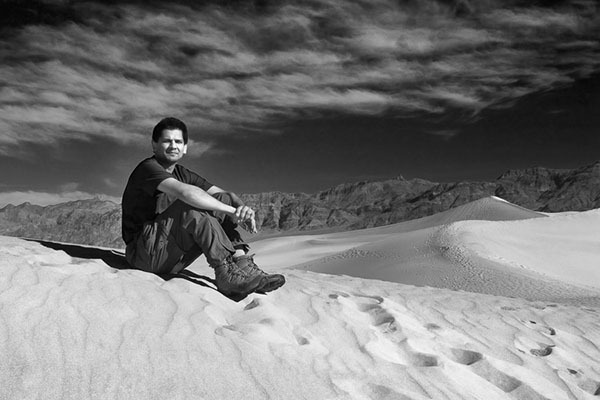 :: You each participate in some different outdoor photographer groups, and do some online tutorial classes....what else do you have going on that you want people to know about? Jay & Varina: Right now, our biggest project is www.visualwilderness.com. We've teamed up with Samantha Chrysanthou and Darwin Wiggett to build this fantastic website — and we have a whole collection of eBooks up for sale, plus new ones in the works all the time. The site went live in October of 2010, and is doing better than expected. It's been a really exciting project for us, and we're all really proud of the results. :: Which current photographers inspire you? Jay & Varina: We don't have any specific names...but anyone who is passionate about photography inspires us to reach new levels. :: What was the best piece of advice someone gave you in regards to improving your photography? Varina: Listen to your critics. Get yourself some thick skin and ask for honest critiques... and when you get them, pay attention. That's how you get better. Jay: I think the most important advice is to remember that there is always something more to learn. If you think you have mastered all the technical skills there are to master, try challenging your creativity. Put yourself in the worst possible location with the worst possible light, and see if your imagination rises to the challenge. See if you can come away with stunning photographs. :: What piece of advice would you give to someone trying to get a start in landscape photography? Jay & Varina: Learn everything you can. Equipment doesn't matter if you don't know how to use it... so worry less about what you are shooting with, and more about what you don't know. Read everything you can, invest in classes rather than fancy equipment, and ask for those honest critiques we mentioned before. :: Where are you two headed off to next? Jay & Varina: We're teaching workshops in The Everglades, Yellowstone, and Glacier National Park in 2011 — so that's a start. We're also looking at traveling to the U.S. Virgin Islands, Hawaii, Utah, and Arizona next year. We'll probably throw in a few shorter trips as well. Who knows!